Integration is easy with our libraries in Ruby, PHP, Java, Android, iOS, and Windows. By embedding our authorization popup, users are able to share data from a wide array of life-tracking apps and devices. We analyze the data to see what hidden factors are most influencing the thing your users want to improve. 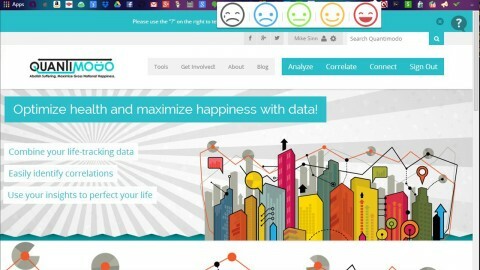 You can then present the raw and analyzed data to your users to help them perfect their lives! 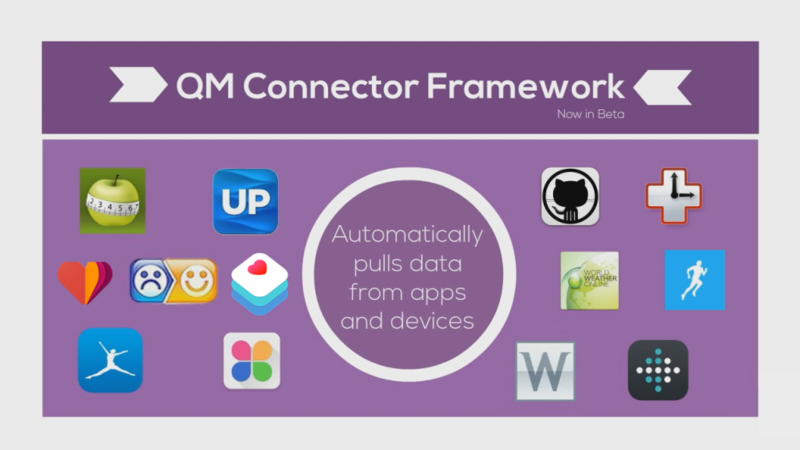 The QM Connector Framework automatically pulls in data from your users’ life-tracking apps and devices. This data is then made easily available to your app via a single unified API. 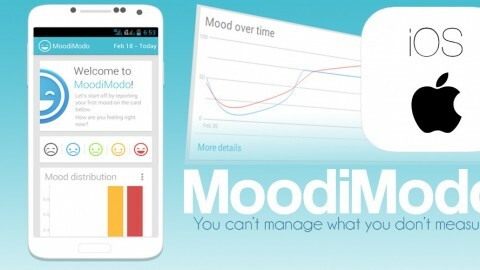 Do you have a health tracking app? 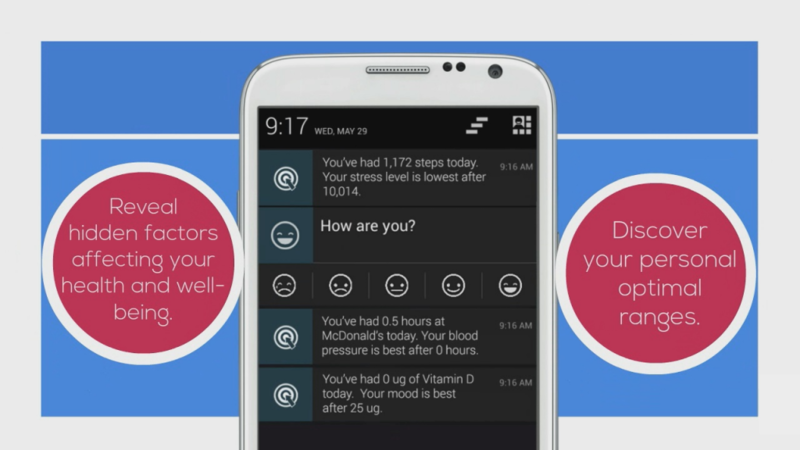 Wish you could tell your users which life factors most influence their symptoms? Now you can! 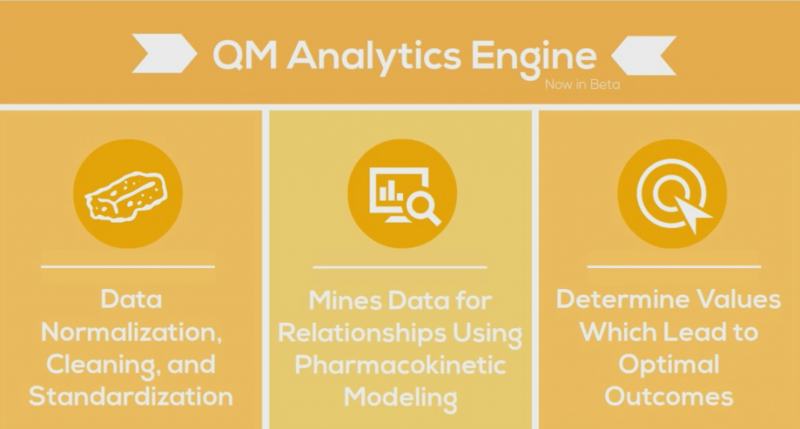 The QM Analytics Engine identifies the factors that most influence any given aspect of health and their optimal ranges. 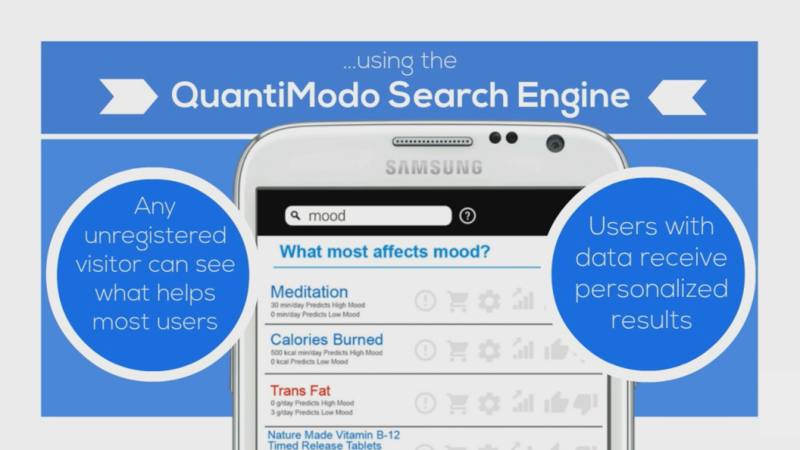 QuantiModo turns this cacophony of life-tracking data into actionable insights. It does this by aggregating and mining the data using machine learning algorithms to determine what an individual can do to optimize any quantifiable aspect of human life such as mood, sleep, cognitive performance, cardiovascular health, and productivity. 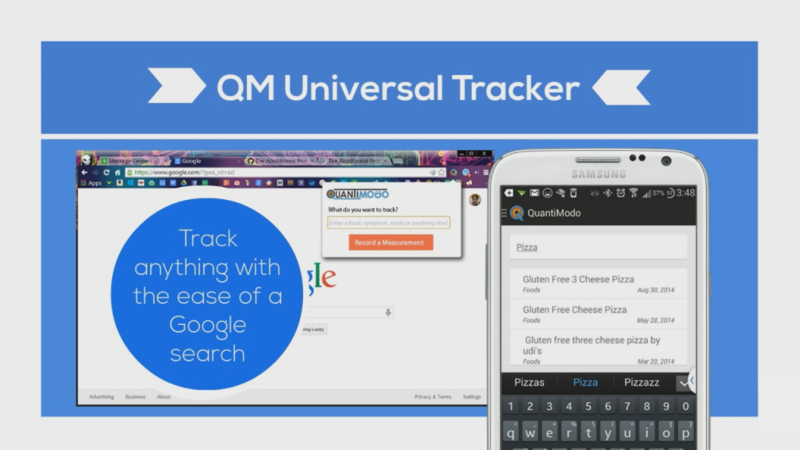 Aggregated user data is utilized to determine the factors that most influence any given aspect of health, powering the QM Search Engine. Any unregistered user wanting to optimize any quantifiable aspect of their life is able to search within your app and see a list of the products that are most effective at helping the him or her achieve a particular health and wellness goal. For instance, if one wishes to improve one’s back pain, go to our site and search for “back pain”, where one is able to select from the list of products that are most likely to influence back pain severity. We will also enable grouping of data among relatively homogenous groups of users stratified by their environmental, microbiomic, demographic, genomic and/or disease profiles. Impact: Clinicians and those suffering from chronic conditions will have access to the personalized effectiveness rates of treatments and the percent likelihood of root causes. Developers have the capability of reminding users to update the variables they’re tracking via push-notifications. Also help encourage decision making with reminders when the user strays from their optimal range or falls back into old habits. 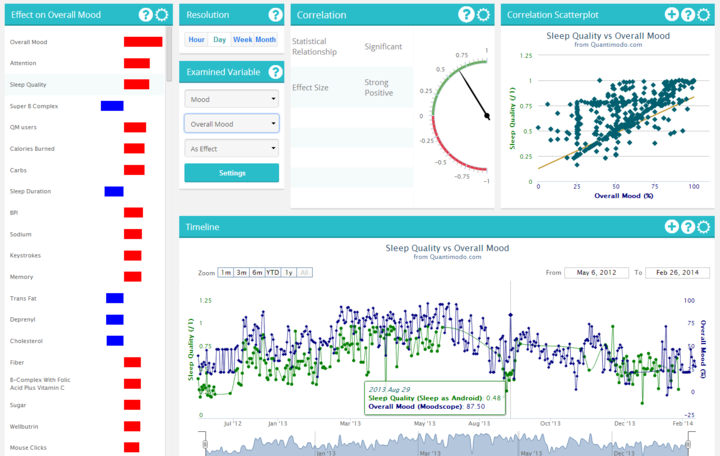 An app or web browsing extension that enables the user to easily track diet, medication, physical activity, anything else that can be quantified and automatically upload the data for analysis. The QuantiModo API provides a variable search end point that can be easily used for type head auto-complete data entry with default values for most tracking parameters. 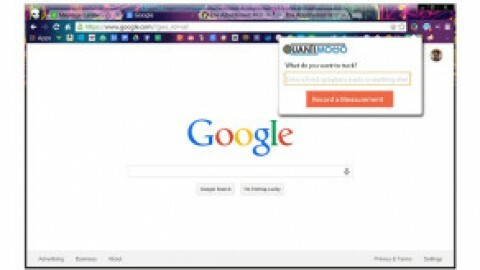 This turns the previously arduous process of self-tracking into a snap. QuantiModo’s MBaaS instantly enables your app to synchronize user data on multiple platforms, manage user accounts, utilize passwordless social authentication, and allows you to back up all user data to QuantiModo’s secure cloud database. The MBaaS also includes a HIPAA compliant option. Having access to a dashboard visualizing all factors in a patient’s health can then help doctors formulate a far more informed a care plan. Instead of spending months gathering, cleaning, and analyzing data, create studies on our platform and enable users to share their preexisting data with you. Then we mine the data to quantify the relationships of interest. Keep employees happy, healthy and engaged by creating an effective wellness program with QuantiModo.ges. Check Out These Cool Apps Already Using the Platform!